Travel south along the coastal road from Naples, follow your instincts and follow the waves. It will be a long drive, but you won’t mind. The Tyrrhenian Sea spreads out in endless aquamarine to the west and if you time it right, the hot, southern sun will feed you with its rays, ripening everything. If you keep going for long enough, eventually you’ll cross the border into Calabria. Calabria is a land of stories, sculpture and spirit; of mountains, craggy cliffs and pine forests. Explore the myriad coastal towns and you might find soft-spoken gangsters with burnished leather faces joking with children. You might find young lovers on covert missions, working their way through the deserted streets. Whatever you find, it will excite you. It’s a land of geographical and cultural conundrums – a more complex and multifarious landscape I’ve yet to find. It’s also a land of food and wine. Even against the awkwardly fecund backdrop of Italy, Calabria is unique in its enthralling gastronomic characteristics. 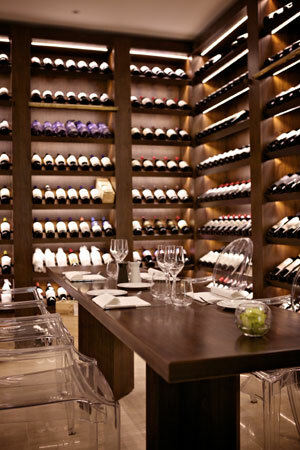 When the Ancient Greeks arrived they dubbed this region Enotria – land of wine. The wines are still superb today, but they’re tough and ragged. Too esoteric for common tastes perhaps, too soulful, too specific – they generally stay in Calabria. This sense of ‘soul’ is a characteristic that perhaps defines the cuisine of the region. It’s a cuisine that seems to draw surprising luxury from humble places, whilst managing to preserve the essence of the thing. ‘L’Anima’ is the Italian word for soul or spirit. 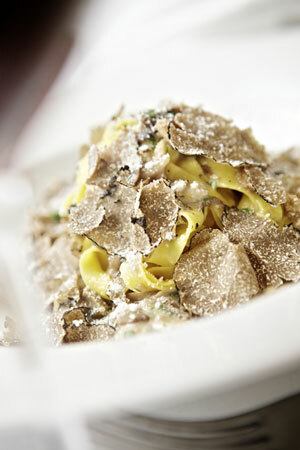 L’Anima is also the name of Francesco Mazzei’s excellent restaurant in the City of London. For Mazzei, cooking and living were always one and the same. From the age of nine, he could be found in the kitchen with his mother or tucked away in a local gelateria learning some of the skills that would serve him well later in life. Yes, this is a restaurant where that hard-fought soulfulness of the Calabrian landscape looms across every plate you encounter; you can sense it from the verdant olive oil that accompanies chewy sourdough to the crisp Cannoli that finish the meal, everything leaving you happily replete. There is a tension here though; a tension that renders the experience of eating here obscure and somewhat otherworldly and that is the void that exists between the soulfulness that exemplifies Mazzei’s kitchen and the hordes of seemingly conservative corporate drones that fill this slick, modernist restaurant on the night of our visit. 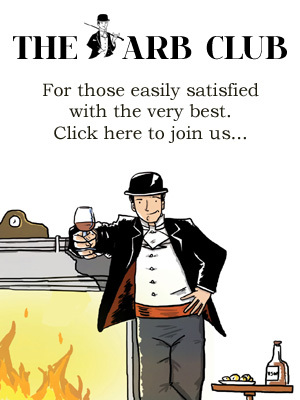 As the ripe aromas of fresh black truffle waft through the restaurant sending shivers down my spine, I look up to glimpse a sea of grey Patrick Batemans, like bowler-hatted figures from that René Magritte painting, interminably colourless against the primary zest of Mazzei’s cooking. We begin with taut, swollen olives from the southern tip of Calabria; they’re green as envy and meaty with it. Then a succession of excellent breads: plump focaccia; chewy, toasted sourdough and oily pizza breads with chunks of potato. Our first course is a huge, single scallop served with cavolo nero on a bed of stoccafisso – a creamy salt cod paste that has been enriched with butter and clove after clove of garlic. The savoury intensity of the salty fish and the sweet, tender nature of the scallop, together make for wonderful eating. The wines are presented by an enthusiastic young man from Piedmont; he chooses interesting bottles that stand up to the substantial flavours we encounter. Stracciatella and ricotta tortelli with shaved black truffle is coupled with a rich, extracted wine from the banks of Lake Garda. I feel unexpected, dreamy-eyed affection for the wine, as it brings back bittersweet memories of a long, hot summer spent working as a practically mute waiter in a vile pizzeria in Peschiera del Garda – moments from Lugana where this wine hails from. The tortelli is ethereally light, but filled with rich dairy fats that meet beautifully with the dingy, vegetal musk of the truffle, leaving me desperate for more. Octopus a la plancha with cannellini beans follows in earthy splendour. It’s an undeniably rustic, Spanish-scented dish, but one which illustrates Mazzei’s industrious and imaginative nature when it comes to delivering potentially incongruous ingredients. The meal comes to a glorious crescendo with an impressively composed rendering of Rabbit Siciliana – a nod to Calabria’s close island neighbour. This dish is a classic that highlights the agrodolce sweet-sour flavours that have such a profile in these southern Italian regions. Once again, simple ingredients are elevated into lands they don’t necessarily deserve to inhabit. The rabbit has been cooked two ways: the legs slow roasted, while the saddle is served as a ballotine, stuffed with its own fragrant offal. This dish is a great testament to a meeting of precise modern technique and sturdy traditionalism; the flavours are big, bold and rigidly unchanged, but the textures and aesthetic qualities of the dish hark towards Mazzei’s latent perfectionism – the dish is triumphant. Liquorice Zabaglione and pistachio ice cream almost finishes us off with its hedonism and charm, and we’re left joyfully replete, sipping dainty glasses of Aglianico passito as the group of paunchy equities traders at the next table tuck into their third bottle of expense account Barolo, their jowly faces aglow; eyes wild and voices loud. They all look a little lost and somewhat shameful, there’s talk of interest rates and derivatives, when really these men should be discussing the Norcia ham that has just arrived, filigree and glowing at the table. This is food that deserves proper reverence and feverish, concentrated attention. This should be a room full of elegant sensualists, aesthetes and connoisseurs, I urge the financiers to leave their junk bonds at the door. 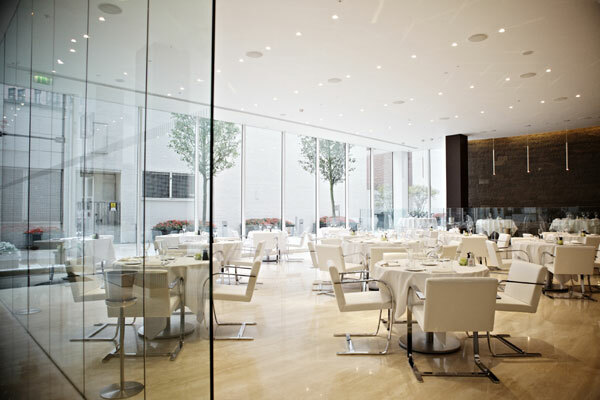 L’Anima Restaurant, 1 Snowden Street, Broadgate West, London EC2A 2DQ.